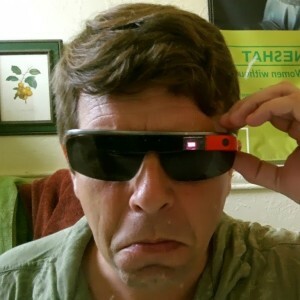 In early August 2013 I picked up my Explorer Edition prototype of Google Glass. This is the page where I will consolidate my writings and posts about the experience as well as outside articles about any of the projects written by other authors. 01-05-14 HumidCity A Drum Lesson with Stanton Moore. 25 minutes of percussion training from Stanton Moore as filmed at the SONO Drum Camp. 02-07/08/09-14 HumidCity Comic Con Under Glass Neal Adams at More Fun Comics, Marv Wolfman, Linda Hamilton, and more to come! 02-15-14 HumidCity The Krewe du Vieux kicks off Carnival parade season, see it through the eyes of a native! 02-22-14 HumidCity Marching with the Intergalactic Krewe of Chewbacchus with Google Glass as their first official cyborg! Date TBA HumidCity A Glass POV look at the New Orleans Maker’s community and upcoming Maker Faire! Date TBA HumidCity Inside the kitchens at Sucre! Date TBA HumidCity Chef Mars from Louisiana Bistro dons the Glass. Coming soon: A POV series as local NOLA Chefs show off their chops, more band perspective videos, marching with Krewe du Vieux, taking Glass to Comic Con and much more! Many Thanks to my IndieGoGo Supporters!! Massive thanks are due to those that decided mine was a worthwhile project to support! The following are the people who have made it possible for me to be in the #glassexplorer program by supporting my IndieGoGo campaign. I think of y’all when I add oddball or interesting new content to HumidCity with the Glass! and a number of others who wish to remain nameless. Doctor uses Google Glass to share surgery with colleagues/students across town.